The World Cup may be over but the new Premier League season is just around the corner. Who will win the Golden Boot this year? 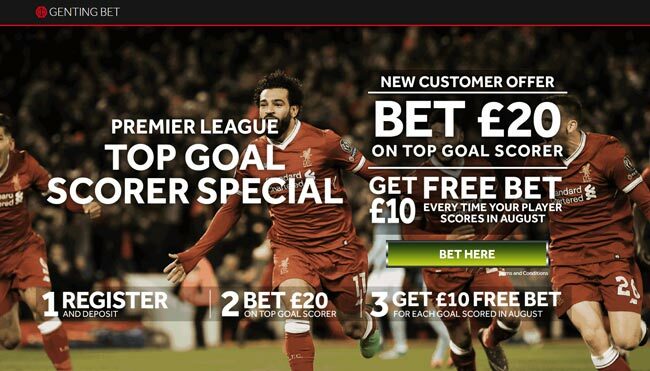 Read on for all our 2018/19 Premier League top goalscorer predictions and tips, including best odds and no deposit free bets! Having won the Top Goalscorer award twice already and having also won the Golden Boot at the 2018 World Cup in Russia, Harry Kane is the odds on favourite to top the goalscorer chart at the end of the season. The Englishman is Tottenham’s focal point with everything being played through him. With Christian Eriksen, Son Heung-min and Dele Alli assisting his every move. He generally start slow, but his consistency in finding the back is out of doubts. He scored 39 league goals in 2017, surpassing Alan Shearer’s record of 36 Premier League goals in a calendar year despite playing six fewer games than Shearer. Mo Salah is likely to recreate his sensational tally from last season when he scored an amazing 32 goals, which is more then anyone else in a 38 game season. The Egyptian also scored against 17 different Premier League teams, only failing to score against Manchester United and relegated Swansea City. It will be fascinating to see if Salah can keep up the form that made him the league’s most feared marksman. Roberto Firmino only scored 15 league goals last season and Liverpool do share their goals around between Salah, Sadio Mane and the Brazilian. If Jurgen Klopp's team is the same free-scoring outfit then Firmino can add at least another ten goals to that tally. Sergio Aguero started the season with a brace against Chelsea in the Community Shield but the Argentine striker is very injury-prone and the threat of Gabriel Jesus getting the nod in certain matches is enough to put you off that selection. Anyway, with the likes of Kevin De Bruyne, David Silva, Riyad Mahrez and Leroy Sané supplying with chances, Gabriel Jesus and Augero can't be ruled out from the Golden Boot race. 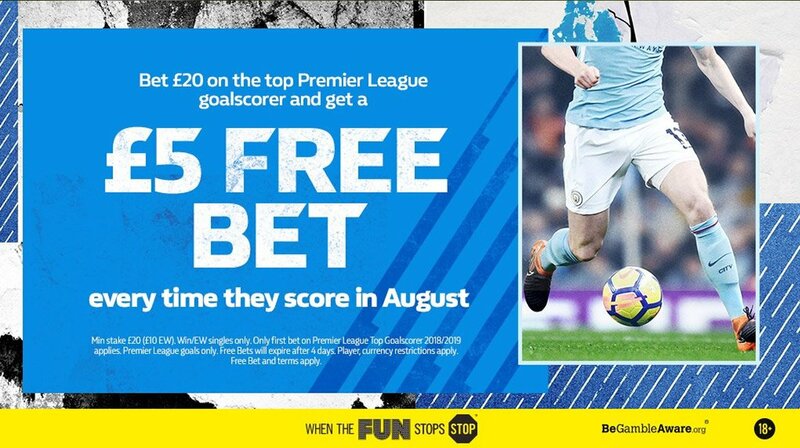 Man City scored 106 Premier League goals last season and Raheem Sterling was 18 times on the scoresheet, finishing 5th in the top scorer chart despite missing a host of chances. He has improved season on season and could be a very smart each-way option. Romelu Lukaku will probably have a better season this time around after scoring 16 in his debut season for Manchester United. If midfielders like Pogba, Lingard, Rashford, Sánchez and Mata can find form they could fire the Belgian striker to win the Golden Boot title. Alexis Sanchez bagged 24 goals in his last full season at Arsenal but disappointed for Man UTD last season. He is fit and firing after Chile missed the World Cup this summer but we don't expect him to exceed the 20 goal mark. Jamie Vardy finished fourth last season with 18 goals and also landed a place in their title winning season three years ago when he bagged 24 goals. Another good each-way bet? Pierre-Emerick Aubameyang had five months to settle into the Arsenal last season and scored 10 goals in 12 matches. We expect his goal average to dramatically improve this term as Gunners' manager Unai Emery will play attacking football. Alexandre Lacazette will also benefit from the managerial change. He has played as central forward most of the preseason friendlies, so he can finish the season with around 20 goals to his name. Alvaro Morata could be the surprise package this year. The Spaniard enters this season on the back of a very poor goalscoring form in recent times but he should benefit from Maurizio Sarri's attacking style. The former Napoli manager was the main reason why Gonzalo Higuain and Dries Mertens scored for fun in Serie A in the last three years. Don't underestimate Morata (and his club-mate Eden Hazard)! 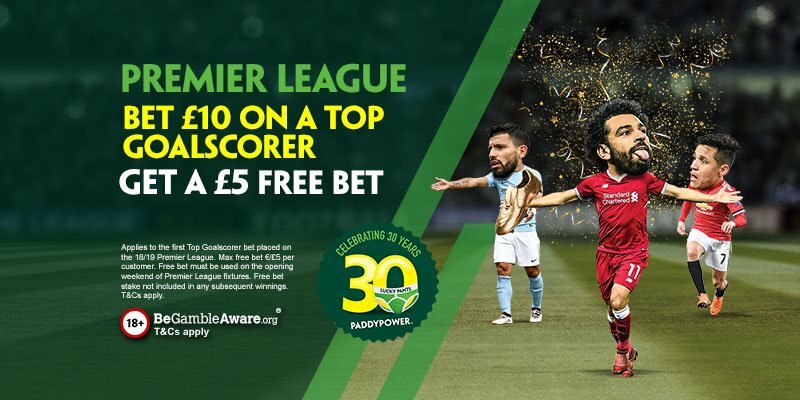 "2018/19 Premier League Top Goalscorer Betting Tips & Predictions"